Owen Williams’ interest in sporting and wildlife painting originated from his childhood country pursuits which included fishing and shooting. Not only did this give him insight to the country sports he participated in, he absorbed the flora and fauna that surrounded him and the ever-changing atmosphere which encouraged his young mind to observe and understand nature at its fines. 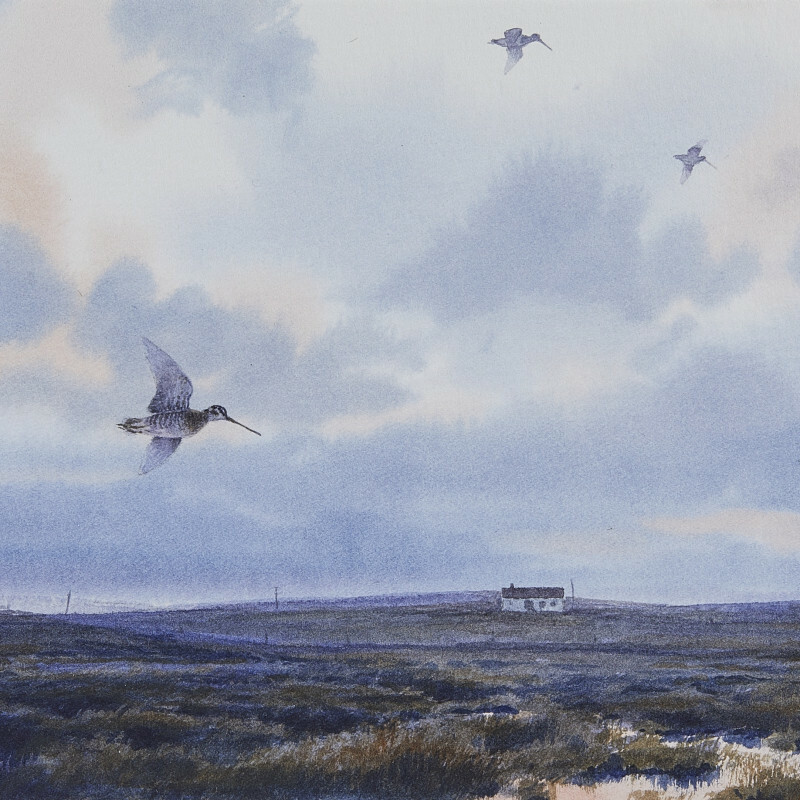 Williams is entirely self-taught, utilising the medium of watercolour to convey natural stances of wildlife, in a variety of stances and locations. Not only does Williams paint, in 2014 he started sculpting wildlife, and in particular, bronze sculptures of woodcock. Williams established the Woodcock Network in 2007, demonstrating his dedication to study the population dynamics of woodcocks, through ringing and tracking. His dedication to protecting this bird is mainly funded through the sales of his works.